Omega’s Air Rinse Assembly blows a continuous stream of ionized air into inverted bottles as they pass overhead. When compressed air exits the electrically-charged nozzles, the air becomes ionized, which neutralizes static charge and helps remove dust and particulate clinging to bottle surfaces. 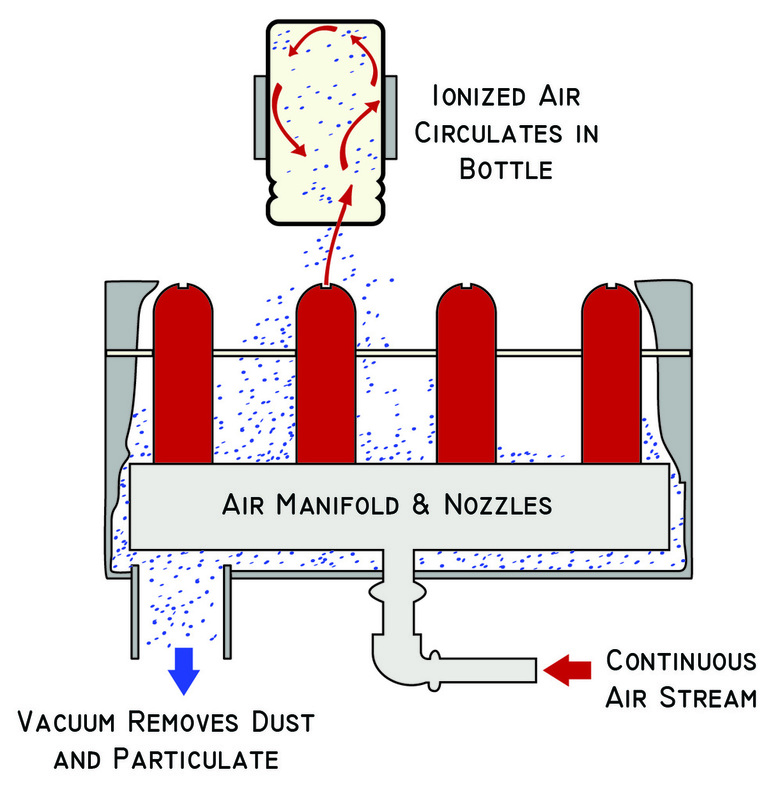 A vacuum blower exhaust with an 5-micron filter is incorporated into the Air Rinse Assembly to assist in the evacuation and trapping of any particulate that drops into the air rinse chamber. Note: Omega Design does not guarantee the effectiveness of removing static or displacing particulate. Effectiveness is directly related to variables such as bottle composition, bottle neck opening, bottle size, bottle shape, and operational speed.